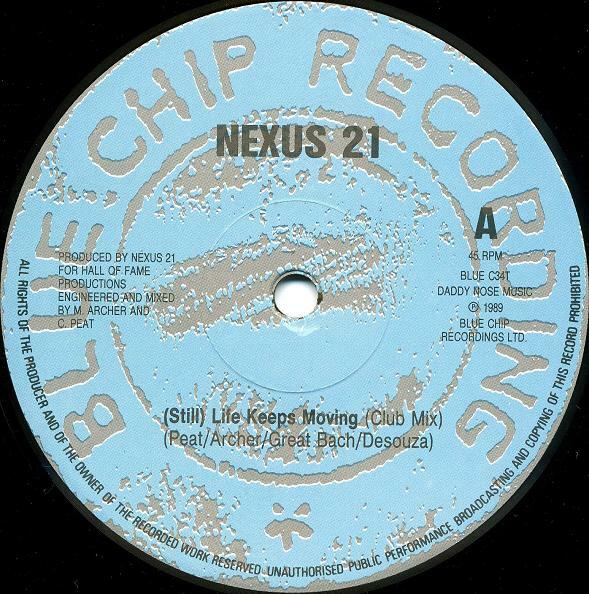 I have a pretty full backstock, but anyways – just by chance – I’ve chosen ‚Nexus 21 – Life Keeps Movin’ as a representative 1st timer. Until today I thought this is an underestimated Kevin Saunderson record, which lacks the pop-appeal of the Inner City hits. Surprisingly it turned out: Nexus 21 is a former Altern8 project. And at least Kevin did some remixes on a re-release 12″ on KMS. However or even more it is more flowing in a mixed set. And generally my edits will try to serve the DJ’s demands, so I kicked out the badly sung chorus, kept the refrain, extended the acid elements, built some climax and did some classic beat juggle editing. Usually I try some re-mastering as I often got the original from vinyl (that’s soooo 80ies!!!). In fact there was no need but stereo expanding and reducing the high peaks for you. Well, that’s it. The track (formerly a song, :-]) didn’t become fresh, but rough as we can stand old school house today.